The Data Driven Leader presents a clear, accessible guide to solving important leadership challenges through human resources-focused and other data analytics. This engaging book shows you how to transform the HR function and overall organizational effectiveness by using data to make decisions grounded in facts vs. opinions, identify root causes behind your company’s thorniest problems and move toward a winning, future-focused business strategy. Realistic and actionable, this book tells the story of a successful sales executive who, after leading an analytics-driven turnaround (in Data Driven, this book’s predecessor), faces a new turnaround challenge as chief human resources officer. Each chapter features insightful commentary and practical notes on the points the story raises, guiding you to put HR analytics into action in your organization. Most organizations capture and report data, but data is useless without analysis that leads to action. 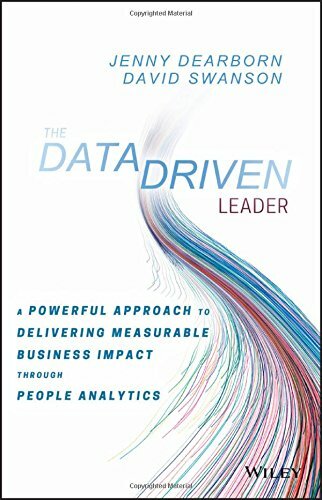 The Data Driven Leader shows you how to use this tremendous asset to lead your organization higher.